I have discovered an even easier way to learn astrology. It might interest you. In years past, I taught myself astrology by reading biographies with related horoscopes at my side. especially in the lives of the rich and famous. Now, I have found a quicker way to some of the same results thanks to Netflix. Netflix is a great service just to watch movies. It also can be an enjoyable substitute for reading biographies. I have used it thus a number of times. in a clear fit with his horoscope and its signatures. I will just share one signature here. If you want to read about more, click the link below. who made major contributions to the early years of Rock and Roll. Interestingly, Valens had long held fears of flying. All the same as he matured, he called himself Ritchie Valens and the Flying Guitar. In the film La Bamba, Lou Diamond Phillips plays Valens and always has guitar in hand. At home, walking down the road, in school, holding hands with girlfriend Donna. which relates to Soul identity and urge. His whole life can be summarized by Mars in Aquarius within 3 degrees of his Rising Sign. 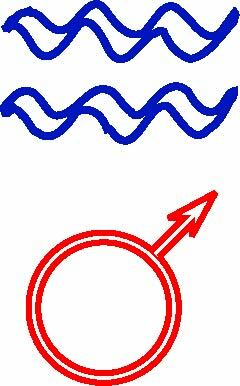 I see Mars as his guitar and air sign Aquarius (ruled by Uranus) is about flying, technology, etc. They say Valens was a high energy human (not so apparent in the movie). But, it must have been so. with records and recording in the 50s? and Midheaven also in Sagittarius (8 degrees). The numbers are significant and are worthy of your contemplation. Sagittarius also symbolizes an energy similar to that at the Ascendant. He was shooting for the Moon, strumming his way to the heavens. Valens’s third big signature is his packed third house (communication and transportation [read airplanes]). A real powerhouse with six planets (five in Taurus). A whole lot of energy surrounded his Sun sign which empowered his short life. And, all of his third house planets surround the fixed star, Caput Algol (26 degrees Taurus). Uranus is the closest planet to his Sun. 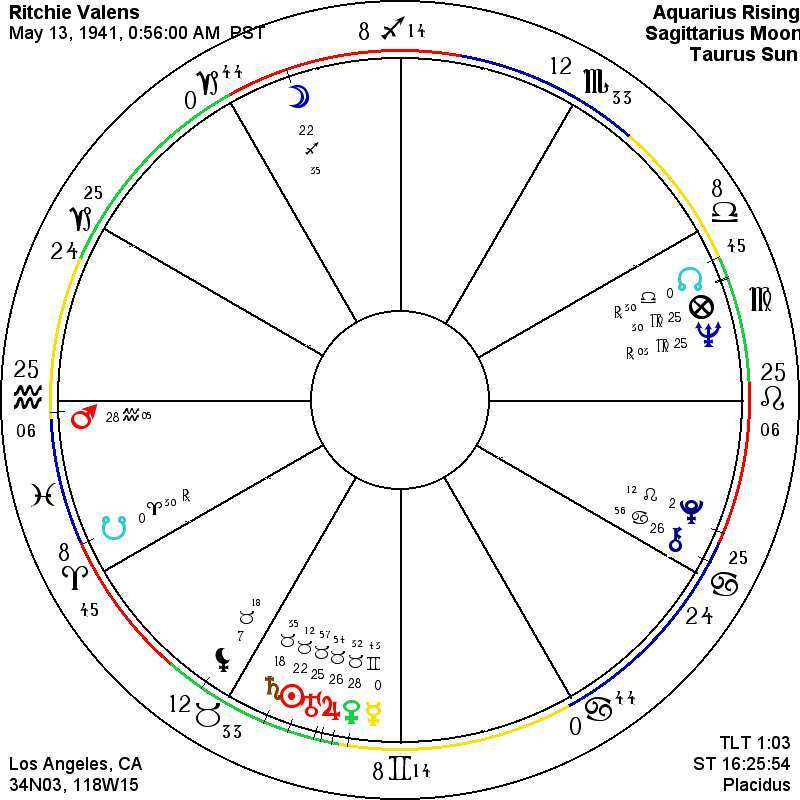 This is a repeat of Mars in Aquarius at the Ascendant. Uranus is explosive, electrifying and elevating. Ritchie Valens shot across the sky in the late 50s and left a trail of music for others to follow.